What do you do as a racing operator when you see your turnover drop by 25% during a five-year period? For the Hong Kong Jockey Club, the answer to that scary experience was: Connect with the customer. Many people say that. The HKJC did it. 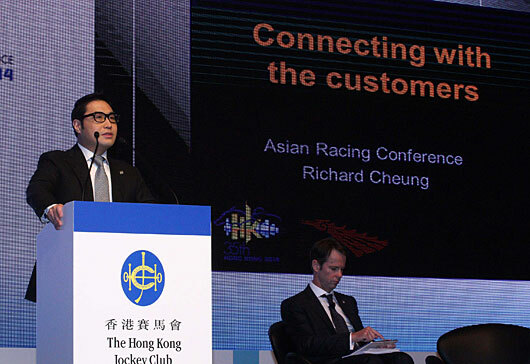 Richard Cheung, executive director for customer and marketing for the HKJC described the initiative for the Asian Racing Conference May 7 in Hong Kong. 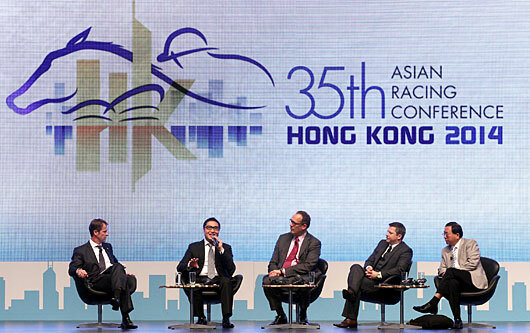 Delegates from other member jurisdictions of the 25-member Asian Racing Association later contributed stories of challenges faced and solutions developed in their very diverse markets, as well as interesting tidbits of information about racing their markets. Cheung, an honors graduate of the Harvard Business School, said the HKJC turnover for the 2000/2001 season was HK$81.5 billion. By the 2005/2006 season, it was HK$60 billion. Worse, he said, 75% of its customers were older than 50. And racing was seen as a matter of betting, with a complicated, long learning curve. After research involving a customer base of two million people, the Hong Kong brain trust came up with a segmentation plan that identified seven types of customers from HKJC members and horse owners through "young rookies" looking for lifestyle experiences. For each of those segments, the Jockey Club developed strategies around the racecourse experience, digital outreach, data-driven marketing and outreach to popular culture. Implementation of that plan has contributed to a striking recovery in racing turnover despite competition from casinos in nearby Macao and mushrooming interest in sports betting. For the current season, Cheung said, the club estimates racing turnover at around HK$102 billion. While marketers often like to take credit for all positive results, he acknowledged an uptick in the economy played a role in the turnaround. But, he said, that's responsible for only about 20% to 25% of the hike, with most of the rest due to the new initiatives. As you'd expect from a Harvard graduate, he had data to back that up. Much of the push for "young rookies" has come at the in-town Happy Valley Racecourse, which is situated amid the hustle and bustle of urban Hong Kong—almost as if a racetrack were dropped into Midtown Manhattan in New York. The evening meetings are surrounded by the city's towering housing high-rises and the pulsating neon lights of the central city. Much of that vibrancy was underappreciated until the new marketing push turned it into a lifestyle choice for younger Hong Kongers. Now, the grandstand boasts trendy nighclubs, a beer garden and state-of-the-art, social media-based data and wagering options. A typical Wednesday night at Happy Valley does not look very different from a top-end Saturday night club scene in Las Vegas—with the added excitement of horses running clockwise on an undulating grass track. The atmosphere provides its own spin by encouraging young racetrack attendees to become part of the marketing process, he said. "For example, we create photo opportunities at the racecourse and the fans share their photos through Facebook and Instagram," he said. Their social media friends can take the hint. Turnover from "young rookies" at Happy Valley is up 40%, attendance by more than 80%. Food and beverage profits are up by even greater precentages. For more sophisticated patrons, innovations include new types of wagers -- some of them created through complex computer algorithms—that provide the potential for higher payoffs than traditional win and place bets. On-track amenities have been targeted by segment. Lionel Ni, professor at the Hong Kong University of Science and Technology, told the ARC the HKJC's "big data" effort of digital data mining for targeted marketing has almost limitless potential. At a separate session, representatives of other Asian jurisdictions outlined their focus, challenges and bragging points through slick video presentations. Aki Akitani, from the strategy planning department of the Japan Racing Association, noted this is the organization's 60th birthday and its focus is "back to basics: Customers have priority. Without their support, we have not come so far." Challenges include a shrinking and aging population. So the goal is to increase the number of racing fans despite that demographic challenge, and to increase the frequency of participation by each fan. Targets include growing numbers of relatively young single women ("boys will follow them, which is a universal phenomenon") and older men and women who never married. Regulation also gets in the way of meeting public demand, Akitani said. "There is a big demand for wagering on foreign races, especially where Japanese horses are running." Japanese law requires modification to permit that. Dr. Seunghgo Ryu, international racing manager for the Korea Racing Authority, in a video presentation, said the KRA operates tracks, "the most popular leisure activity in Korea," and horse parks, which allow people to become familiar with the animals. "The horse industry wants to make Korea smile," the video proclaimed. The government grants KRA monopoly status and, in return, it has control over operations. A national gaming commission also sets rules. Regulation can pose problems. In 2009, online betting was halted when the government decided it violated then-current law. After changes, on-line wagering is back on line. Competition includes a lottery, sports gaming and casinos as well as wagering on bicycle racing, power boat races and bullfighting. Bill Nader, executive director of racing for the HKJC, said the club takes great pride in presenting world-class racing, including five of the IFHA's World's Top 50 Group I races. He also noted the annual turnover in Hong Kong now surpasses that of the United States and threatens to blow past Australia's. With horse ownership, he said, comes "great status and prestige," including use of four clubhouses, including one in Beijing. But he noted the emphasis on the consumer includes a 83.9% return to bettors. "Public confidence is imperative," he said, so the club puts great emphasis on racing control, regulation of medication and other security. 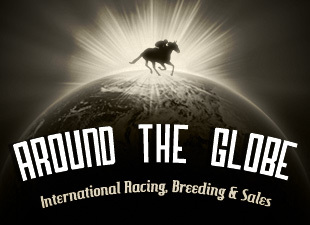 Greg Purcell, chief executive of New Zealand Thoroughbred Racing, noted his nation has a track for each 9,000 residents and that one-third of jockeys are female. Nearly 160 stallions stand in New Zealand, 4,000 foals are produced per season and 40% of those are exported. A presentation by Tunku Shahabuyddin, from Malasia, said religious sensitivities in the Muslim country prevent televising races, advertising and off-track wagering, driving an estimated 90 percent of wagering to illegal operations. That, in turn, severely limits the ability of racing operators to support owners through purses and to develop sponsorships. And Thomas Li, CEO of the Macau Jockey Club, noted cooperation between Macau and Hong Kong has helped lift Macau into international racing relevance at the same time the local casino industry has exploded to the top of world gaming. Macau, in some races, leaves empty stalls in the starting gate to ease congestion during starts. A Hong Kong-Macau bridge/tunnel due for completion in 2016 and a new Macau mass transit system also are expected to benefit racing.